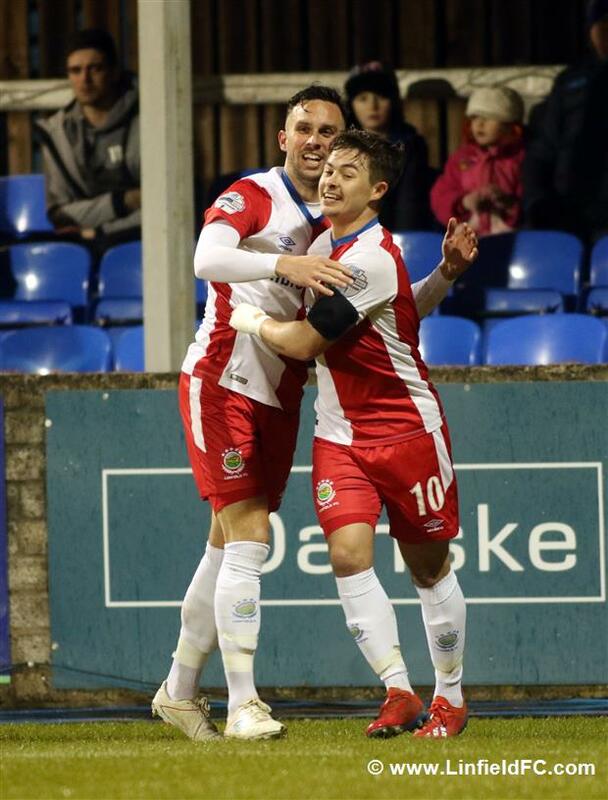 Five star Linfield put on quite a show at Stangmore Park in Dungannon this evening with an emphatic 5-0 win over Dungannon Swifts as talisman striker Andy Waterworth bagged four goals. 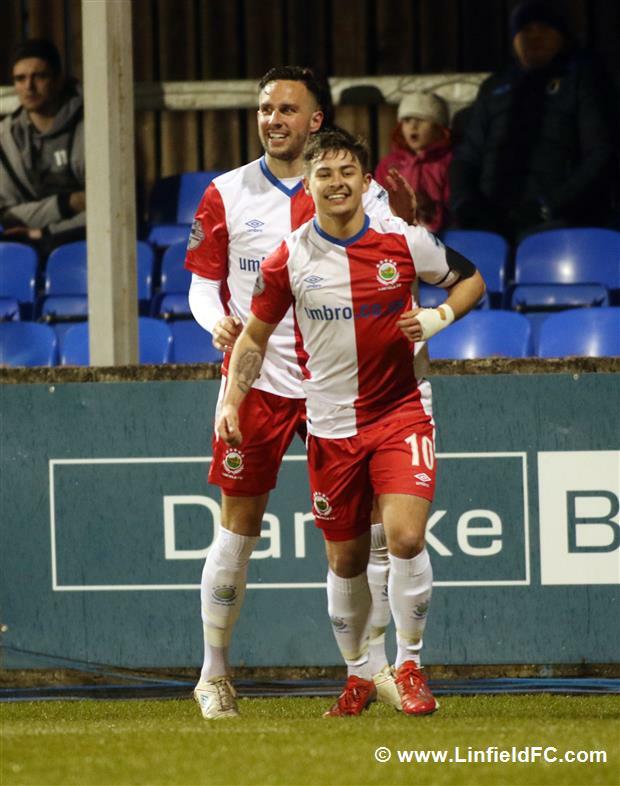 The Waterworth – Stewart partnership caused Dungannon many problems and it was through that very duo that Linfield raced into an early lead. 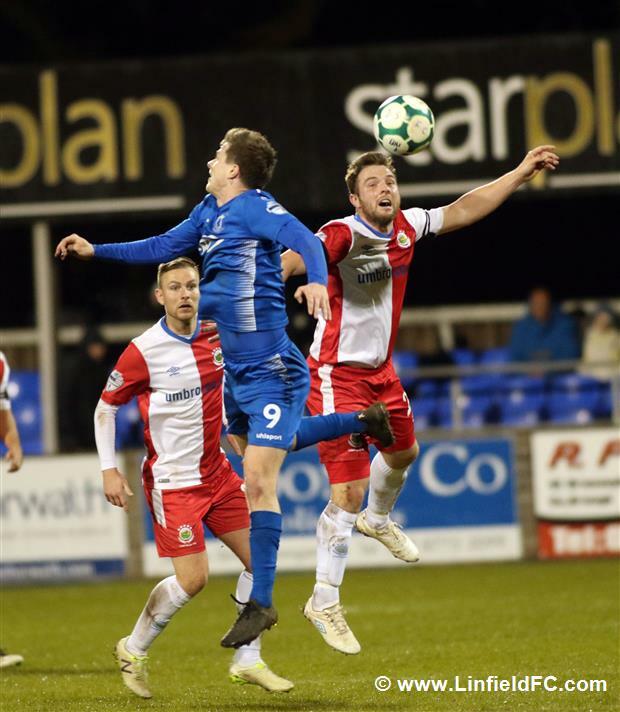 Stewart beat a few Dungannon men down the right flank with dancing feet before teeing up Waterworth with a pinpoint cross and the striker headed the ball into the bottom corner. 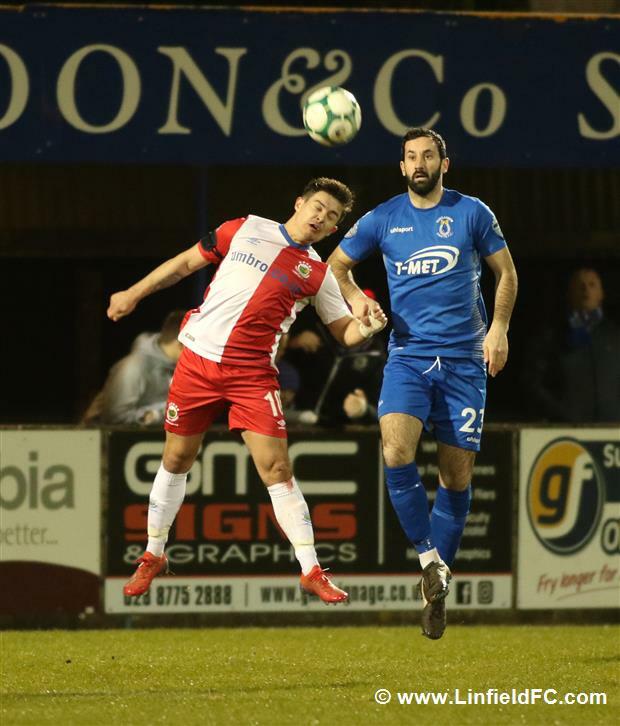 The Blues added a slick second on 11 minutes when Andrew Mitchell’s neat threaded pass sent Jordan Stewart through on goal and the impressive attacker unselfishly squared the ball across for Waterworth to tuck away his second goal of the night. 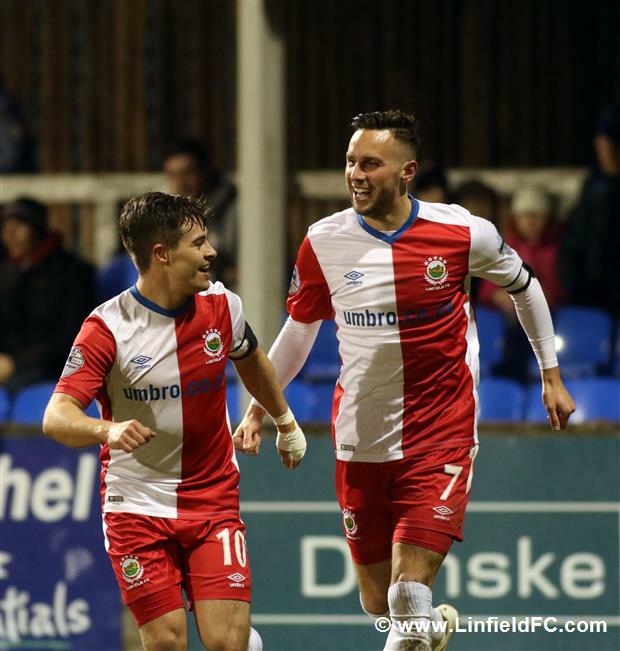 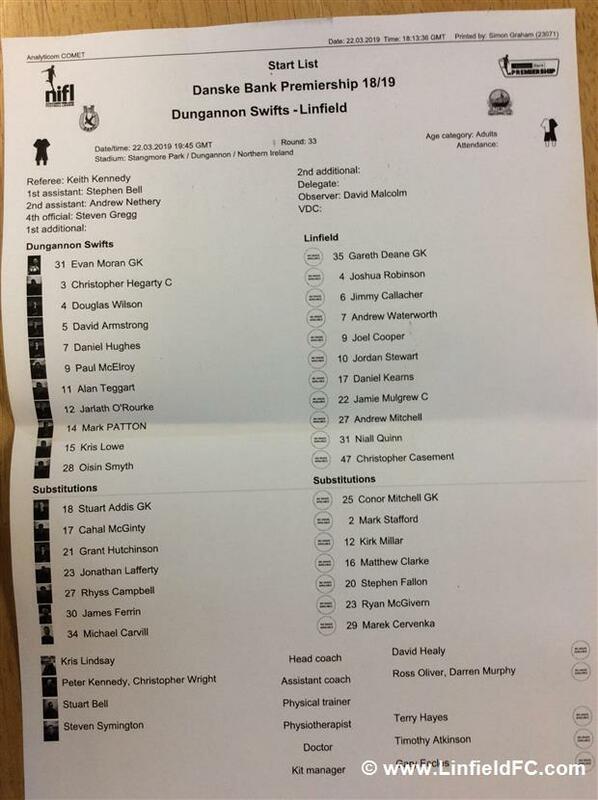 Ruthless Linfield were in fine fettle and they added a third goal on 25 minutes. 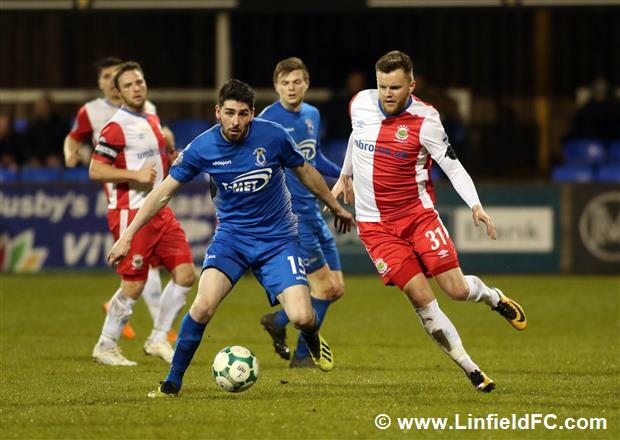 Healy’s men showed why they’re known for being strong at attacking set-pieces as Andrew Mitchell floated in a free-kick and Jimmy Callacher nodded home at the back post. 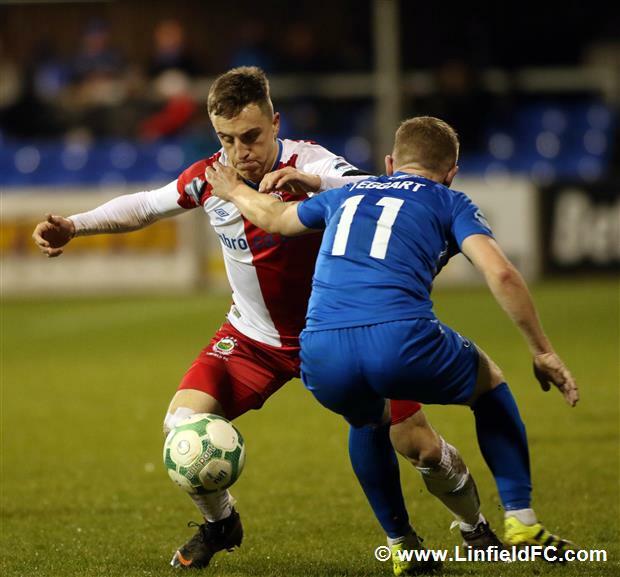 It was the defender’s 10th goal of the season. 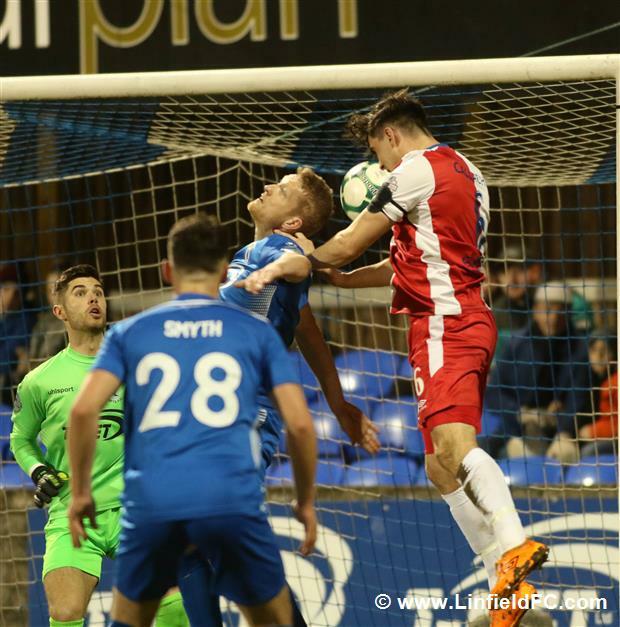 Andrew Mitchell went close to finding the net himself when he caught the ball sweetly but his strike from distance was well held by Dungannon goalkeeper Evan Moran. 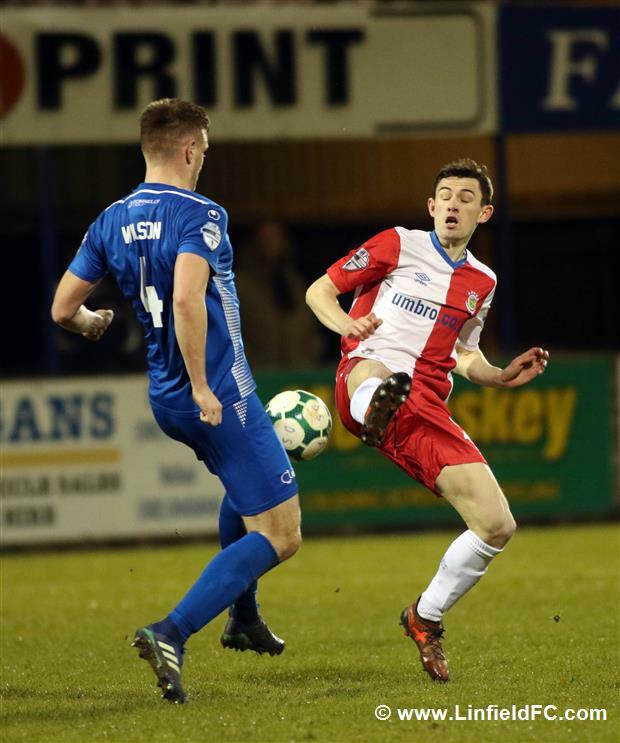 Niall Quinn also went close from a cutback from the outstanding Joel Cooper but his low shot flashed by the wrong side of the post. 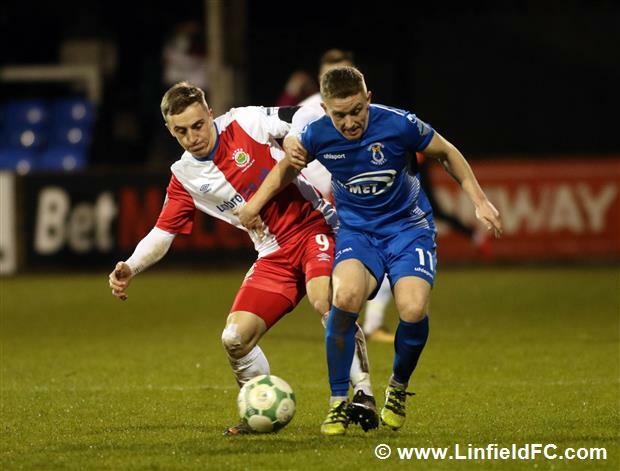 Dungannon applied pressure early in the second half but Linfield put the game beyond doubt on 57 minutes. 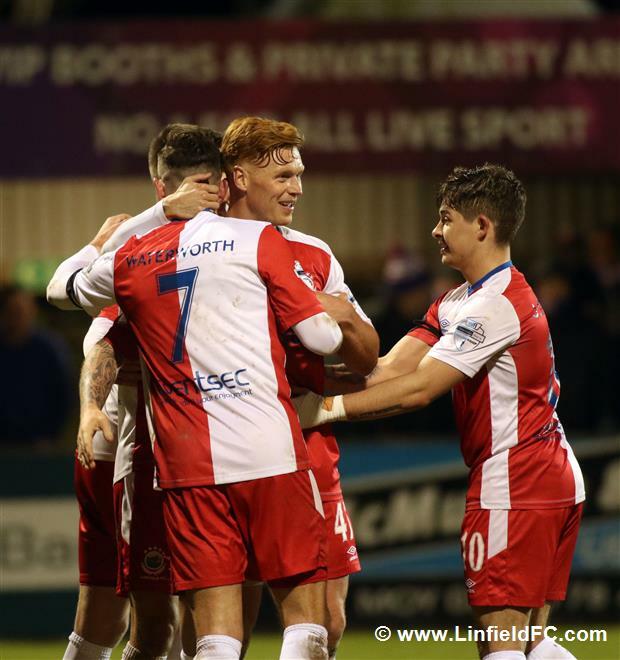 Mitchell hung a cross up to the back post and Callacher’s header back across was ultimately nodded in by Andy Waterworth as the striker grabbed his 10th Linfield hat-trick. 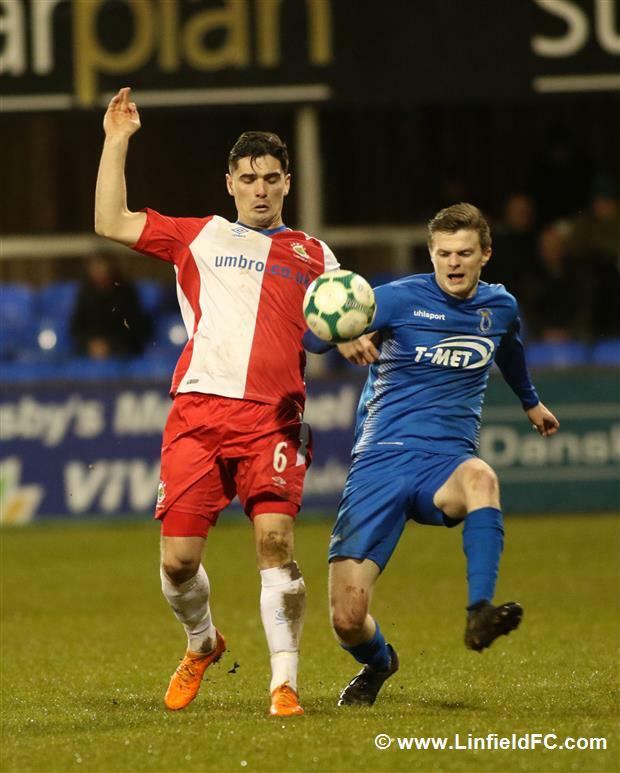 The striker thought he’d hit a fourth goal when he fired in a nice finish from Niall Quinn’s cross but the goal didn’t stand as he was adjudged to have been offside when Quinn crossed. 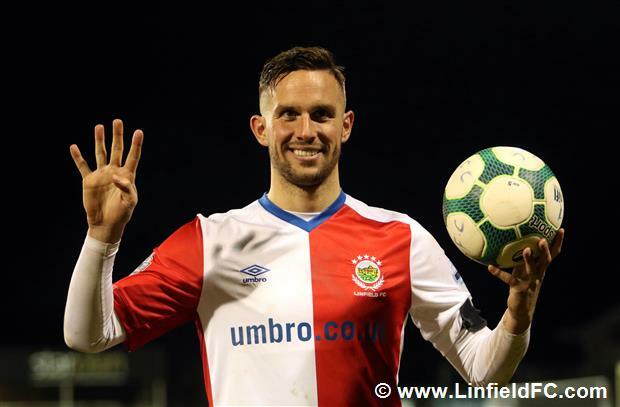 However, he didn’t have long to wait for his fourth and Linfield’s fifth. 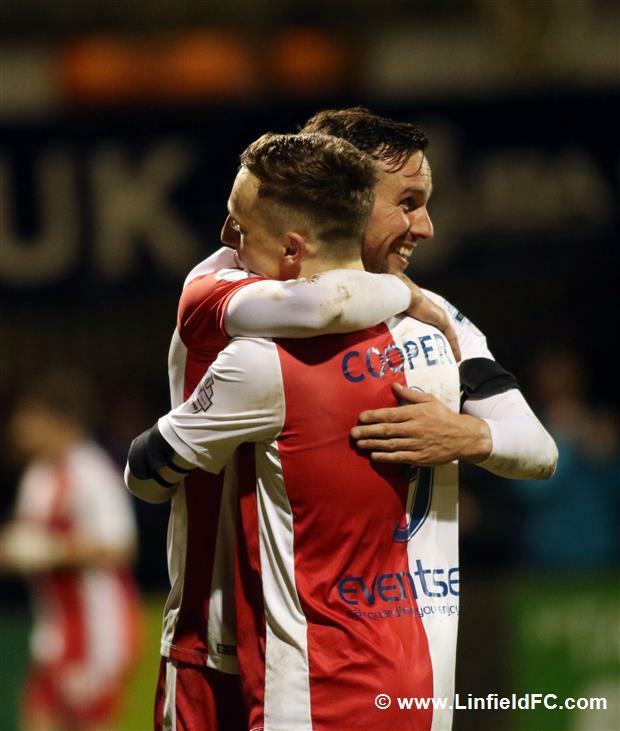 Daniel Kearns was the provider this time as he skipped into space down the right before firing a low cross in for Waterworth to convert with a low finish beyond the goalkeeper. 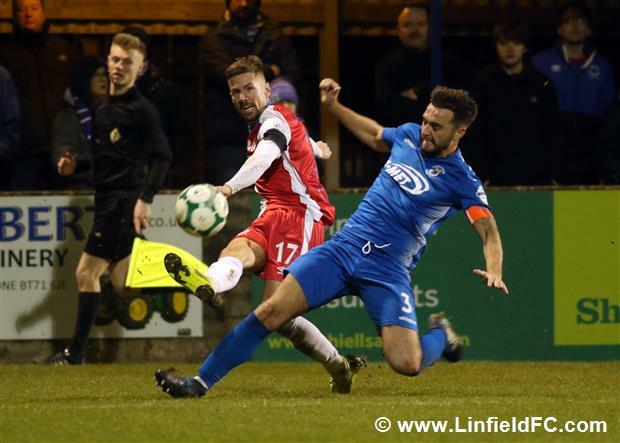 Substitute Kirk Millar almost got in on the act when Casement pulled a free-kick back into his path but his shot was deflected just wide of the post. 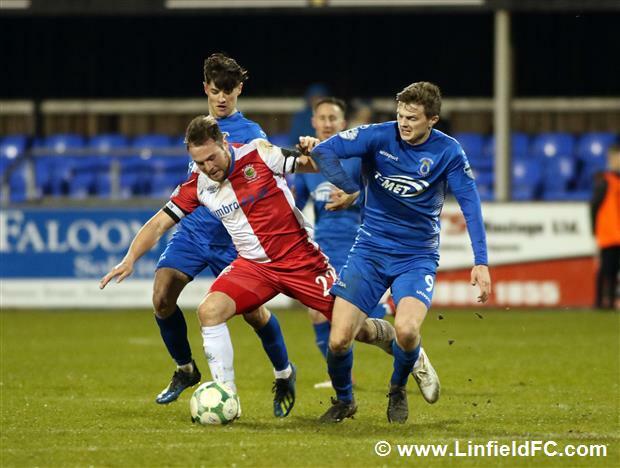 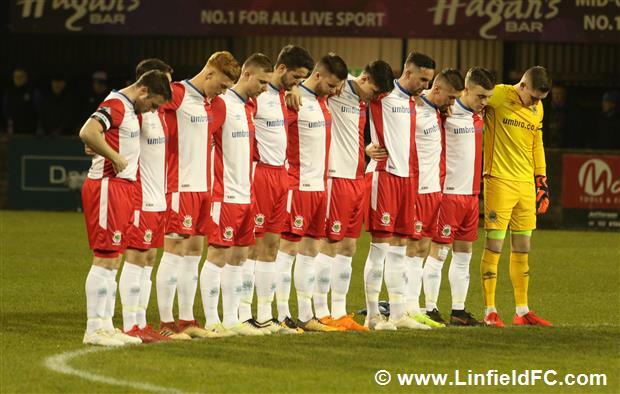 It was a comfortable victory for Linfield after an emphatic start and it was arguably one of their best performances of the season. 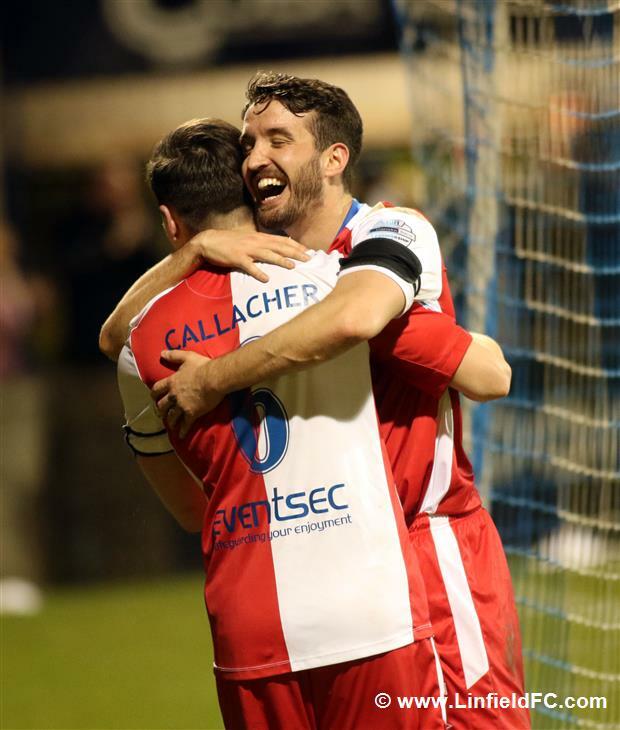 Five goals, clean sheet, three points – just what David Healy would have dreamed of. 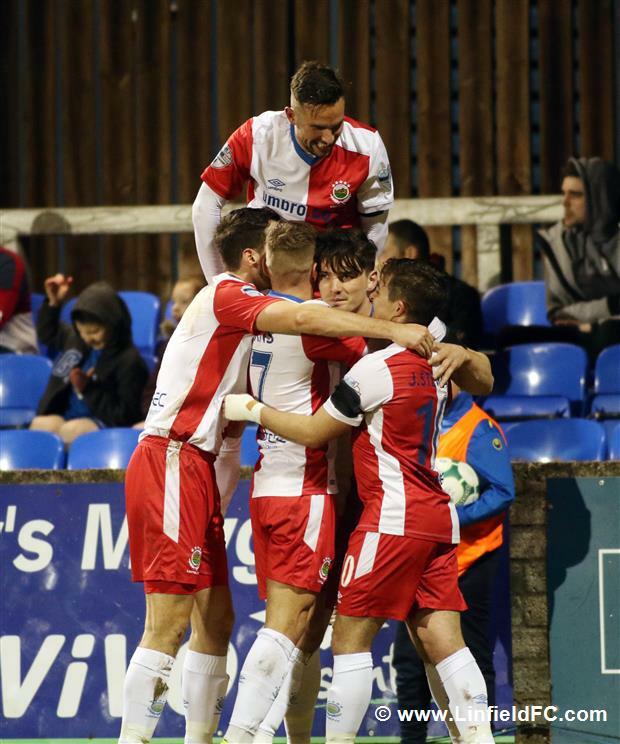 Next up is the top of the table clash against Ballymena in two weeks time.